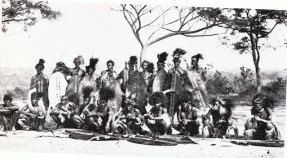 The following are pictures and artist impressions of life among the Ngoni and fellow Nguni (i.e. the Zulus, Swazis, Xhosa, Ndebeles and ngoni) that I have collected and continue to collect. This will help the study of the similarities and differences between us the Ngoni and our brothers and sisters down south. 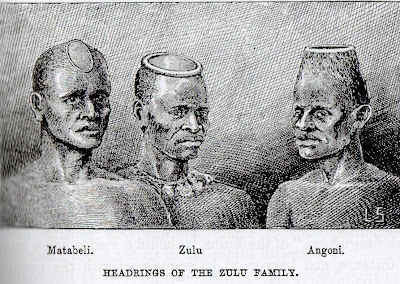 Artist Impression of the headrings (isicoco) of the Nguni family based on Keith Montagu explorations in 1880s. Isicoco used to be a badge for married Nguni men. 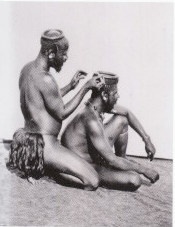 Zulu men in the 1880s mending the isicoco (headring made with wax) of his fellow. Isicoco was a badge for a matured, married man. 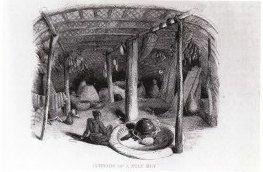 Interior of a Zulu hut as seen by a 19th century traveller. 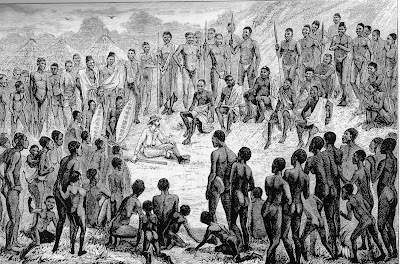 An artist Impression of a meeting between Keith Montagu a European Explorer and adventurer and Inkosi yamakhosi Chikuse of the Maseko Ngoni of Mozambique and Nyasaland seated with his advisors and sorrounded by local people at Domwe in the 1880s. 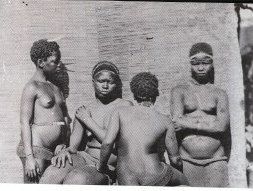 Zulu maidens as photographed by an early photographer. A Nyasaland Northern Ngoniland Ngoni maiden in the 19th century. 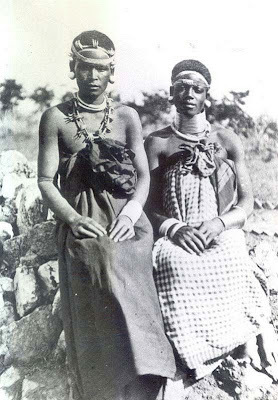 Nyasaland Ngoni ladies mixing traditional and modern clothing in the early 19th century. The lady on the left is Inkosi Mtwalo II's wife and the one on the right is a teacher's wife. The chief's wife has a band of lion and leopard claws on her head and neck, for these are the property of the chief. They both wear the large ivory ear ornaments. 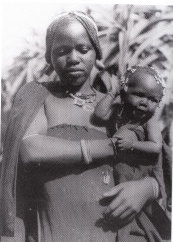 A Zulu madonna in the early 19th Century. 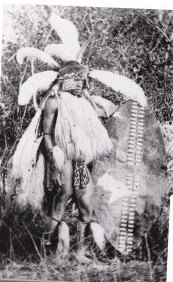 A Ngoni warrior in full regalia ready for battle. 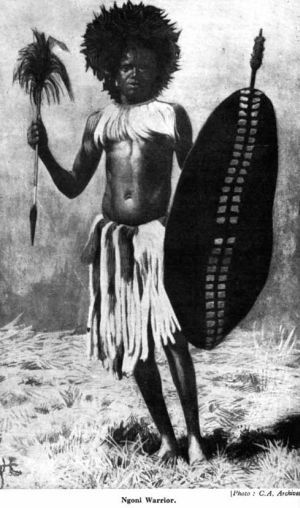 A Zulu warrior in full ceremonial regalia during the English Zulu War in 1879. 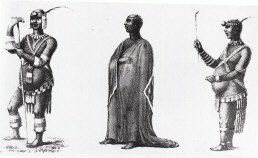 Dingane, Shaka Zulu's half brother, assassin and successor from a drawing by the missionary Allen Gardener. 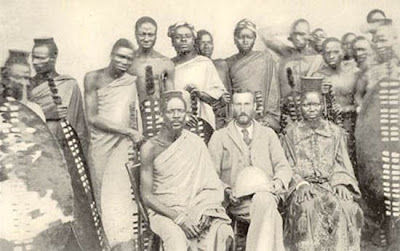 One of Nyasaland Northern Ngoniland Inkosis and a Scottish Missionary in the 19th Century. 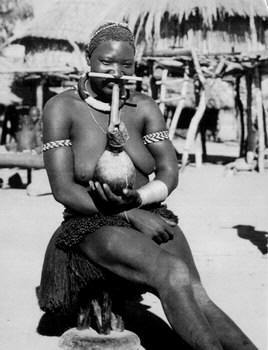 A wife of a Maseko Ngoni chief from Mozambique in 1936.